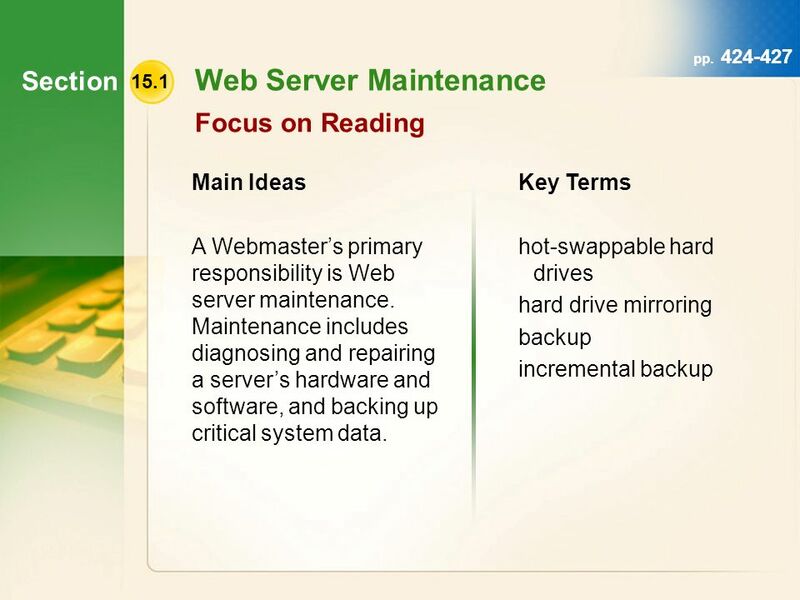 15 Maintaining a Web Site Section 15.1 Identify Webmastering tasks Identify Web server maintenance techniques Describe the importance of backups Section. 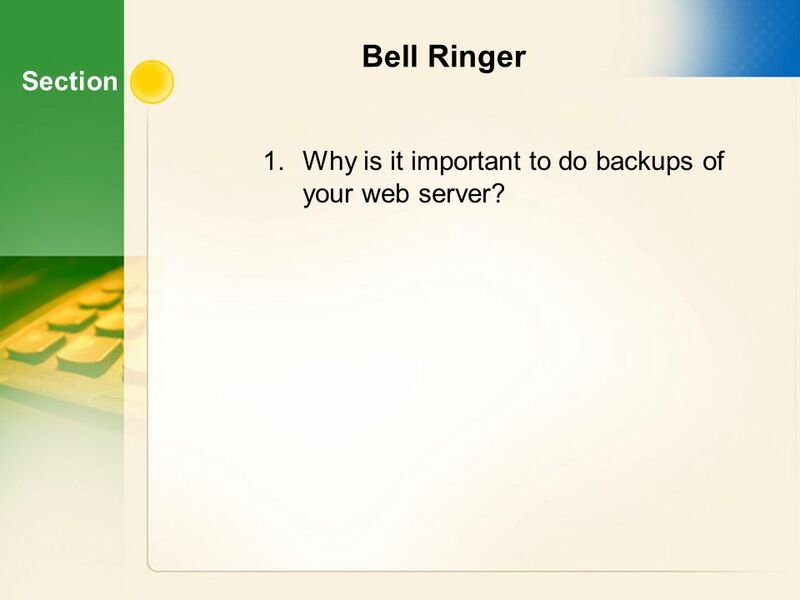 2 Section Bell Ringer 1.Why is it important to do backups of your web server? 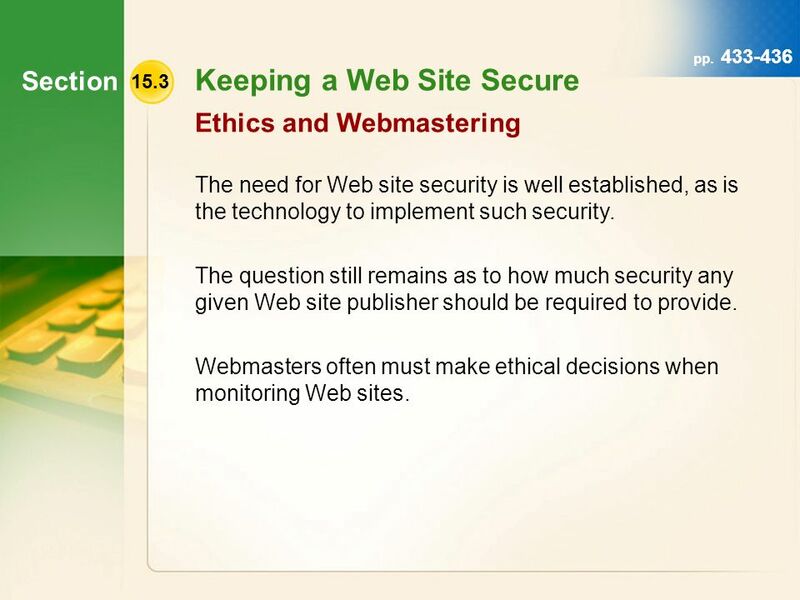 24 15 Maintaining a Web Site Chapter Review True/False Part of a Webmasters job is keeping users personal data secure from unauthorized users. True. 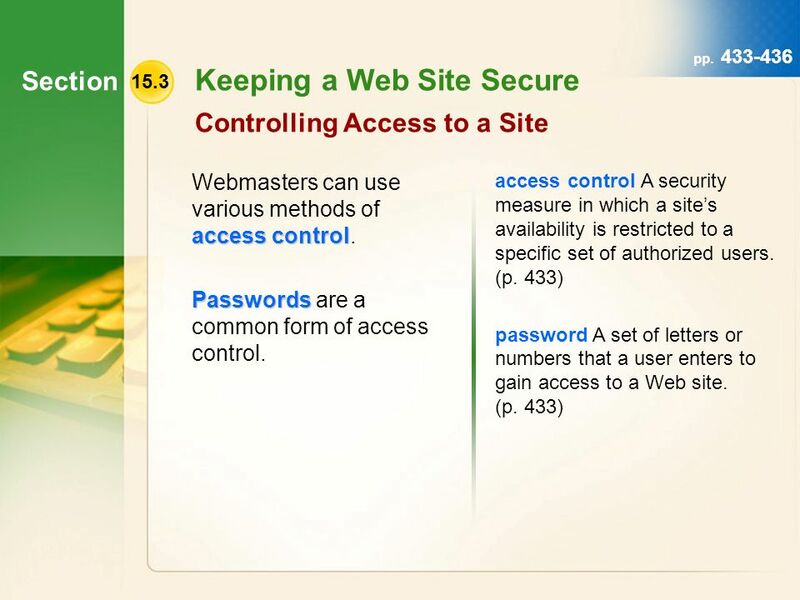 Part of the Webmasters job is to use various methods of access control to keep users personal data secure from unauthorized access. 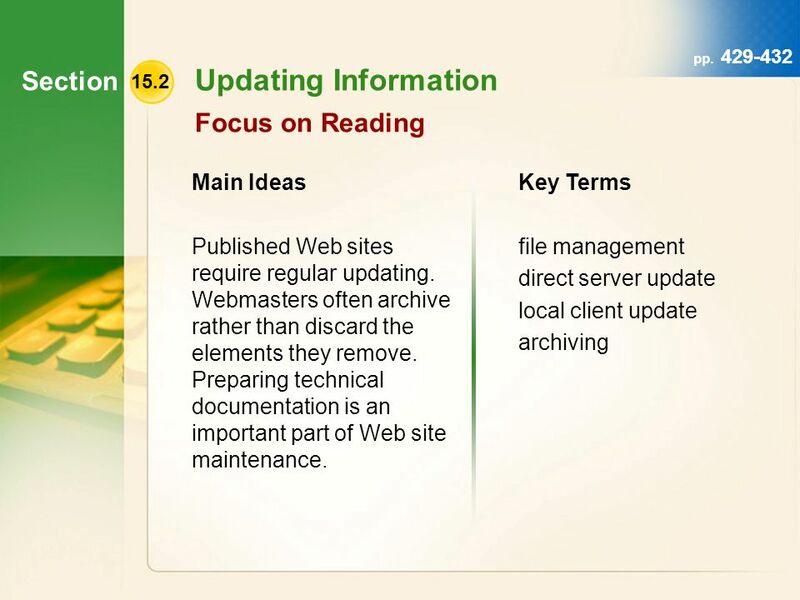 25 15 Maintaining a Web Site Chapter Review Summarize Why is it important to update and maintain a Web site on a regular basis? 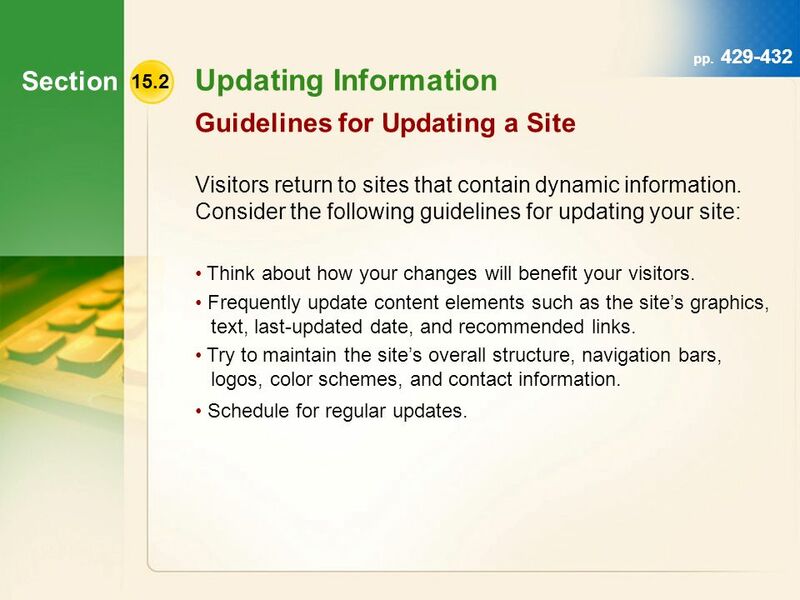 Visitors are more likely to return to sites that are regularly updated. 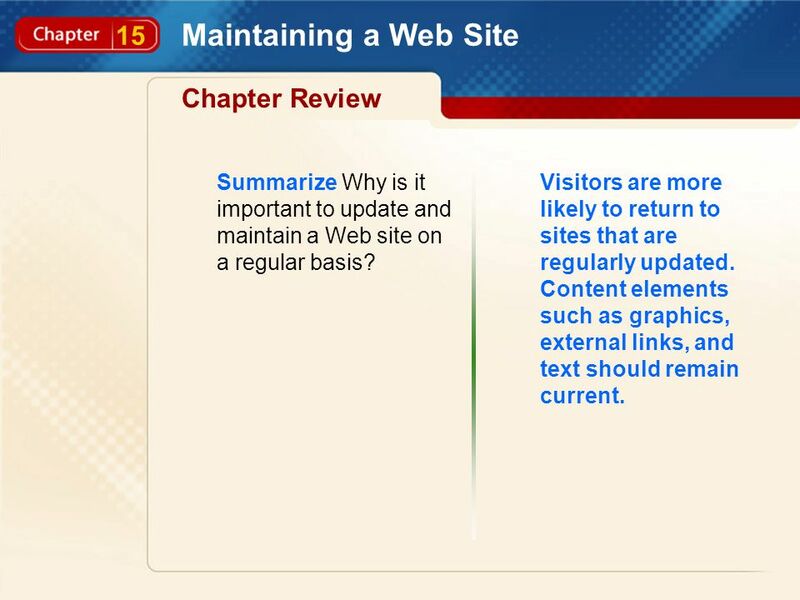 Content elements such as graphics, external links, and text should remain current. 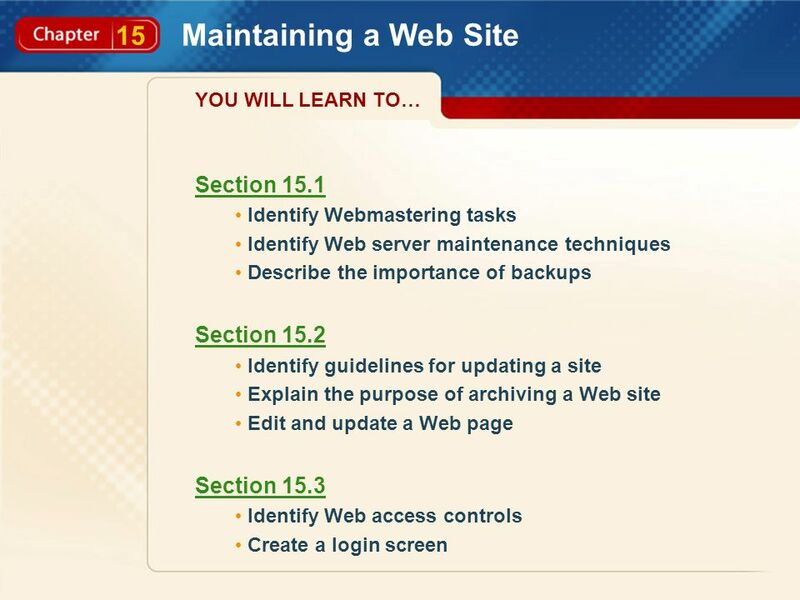 Download ppt "15 Maintaining a Web Site Section 15.1 Identify Webmastering tasks Identify Web server maintenance techniques Describe the importance of backups Section." 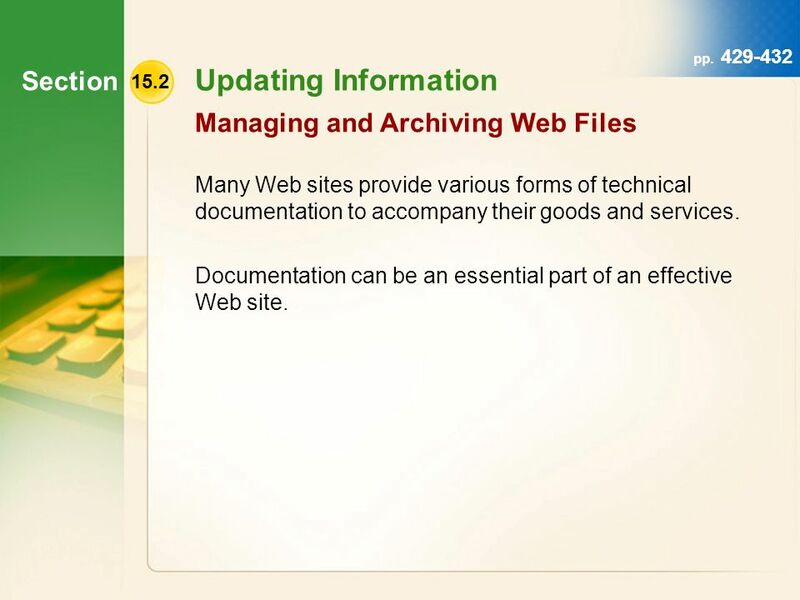 1 COMPUTER GENERATED & STORED RECORDS CONTROLS Presented by COSCAP-SA. 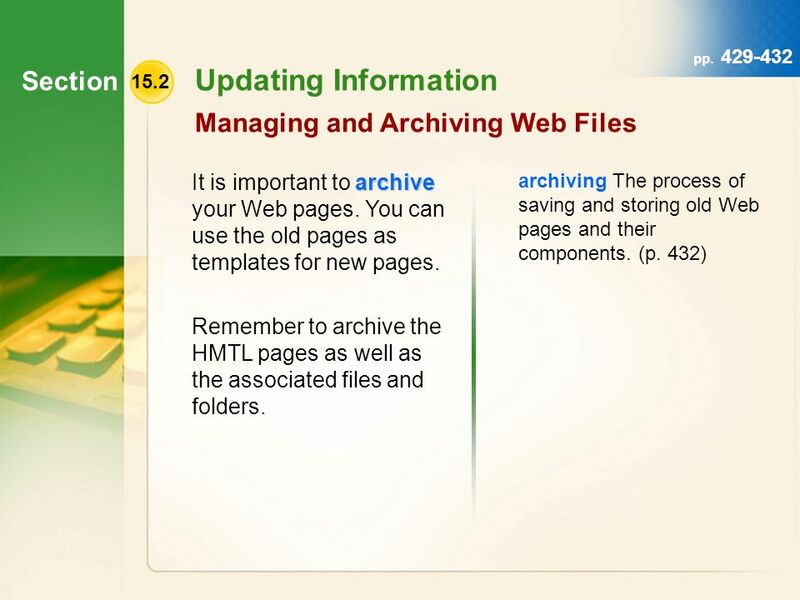 Website Content Management Typo3 CMS. 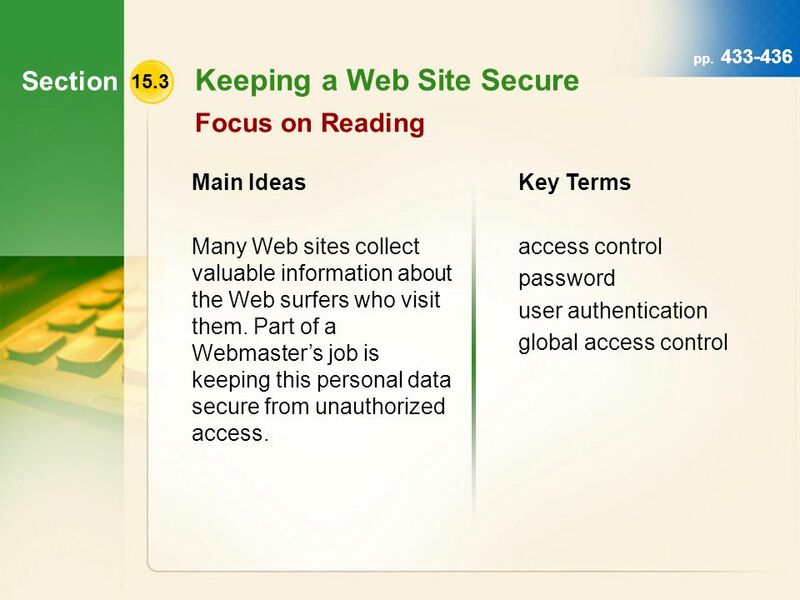 King Websites King College does not have one website, it has more than 90! 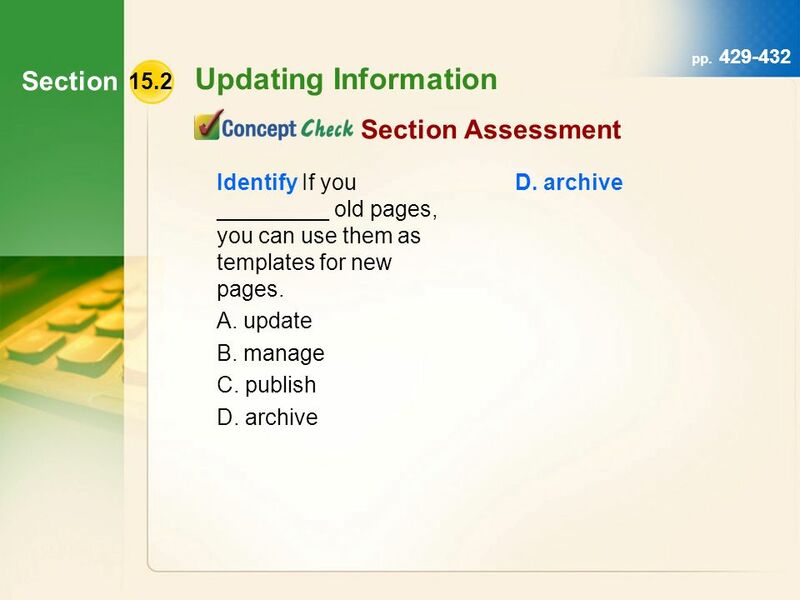 The old site was more than 7,000 pages. 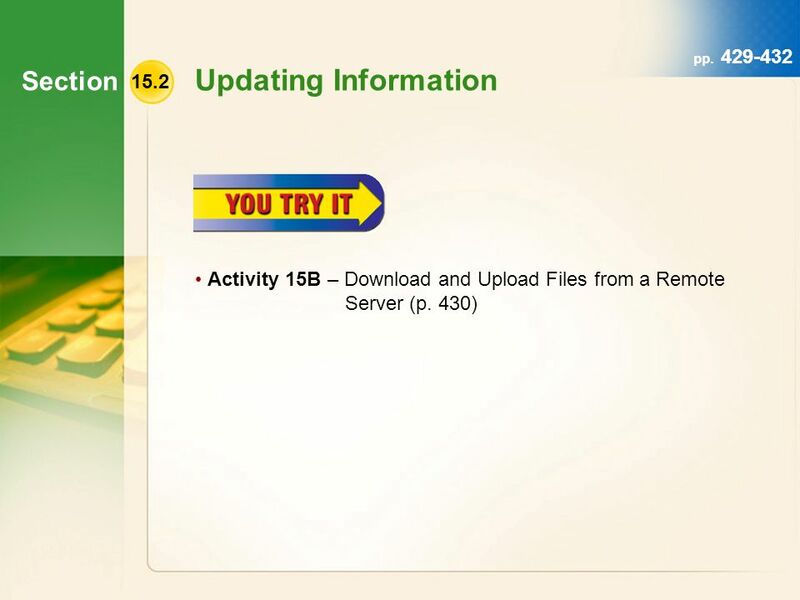 Tutorial 5 Downloading and Storing Data. 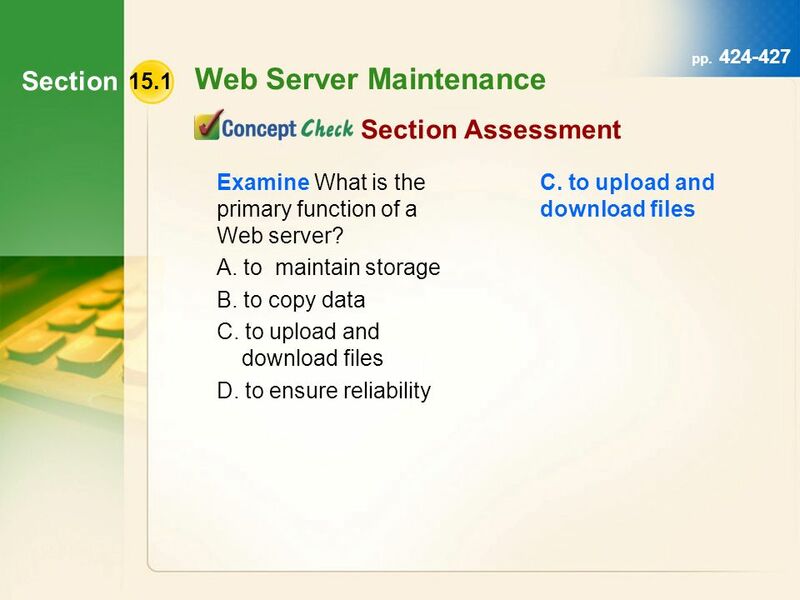 XP Objectives Learn what FTP is and how it works Explore how to use a Web browser to transfer files Navigate. MCDST : Supporting Users and Troubleshooting a Microsoft Windows XP Operating System Chapter 5: User Environment and Multiple Languages. 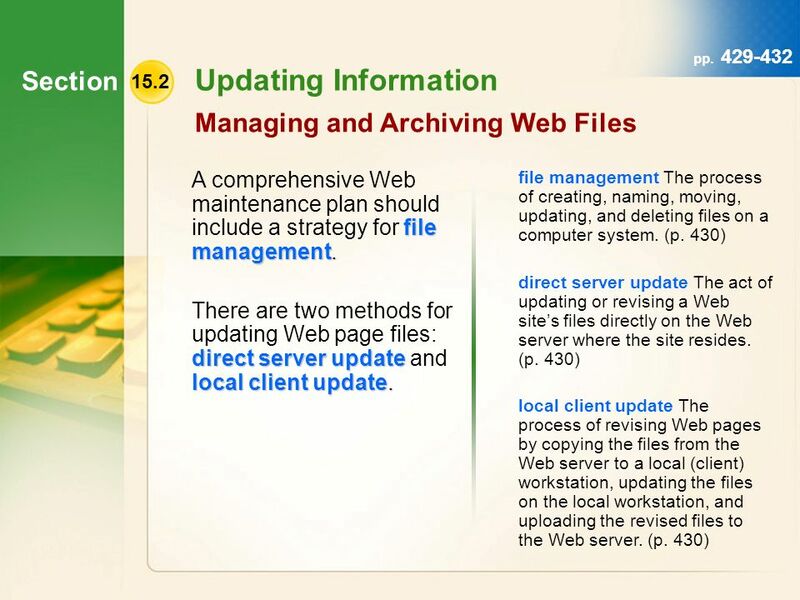 THE BASICS OF THE WEB Davison Web Design. 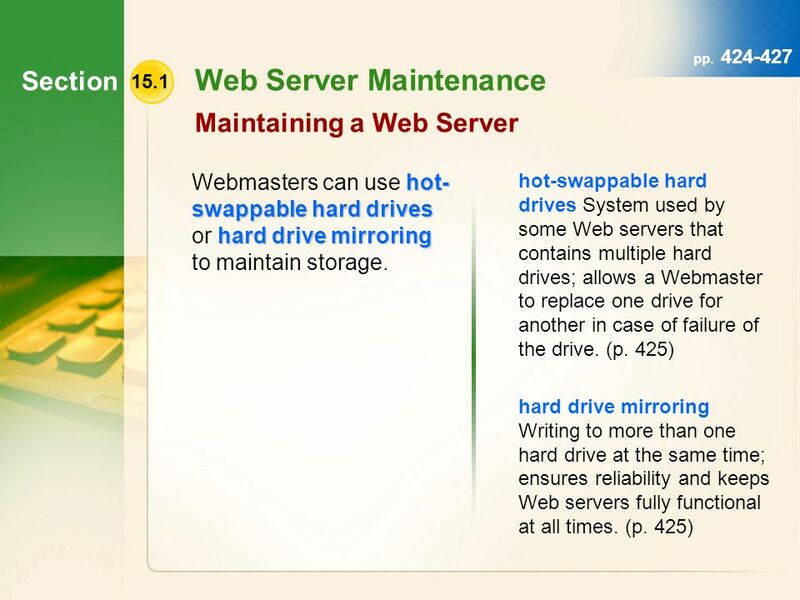 Introduction to the Web Main Ideas The Internet is a worldwide network of hardware. 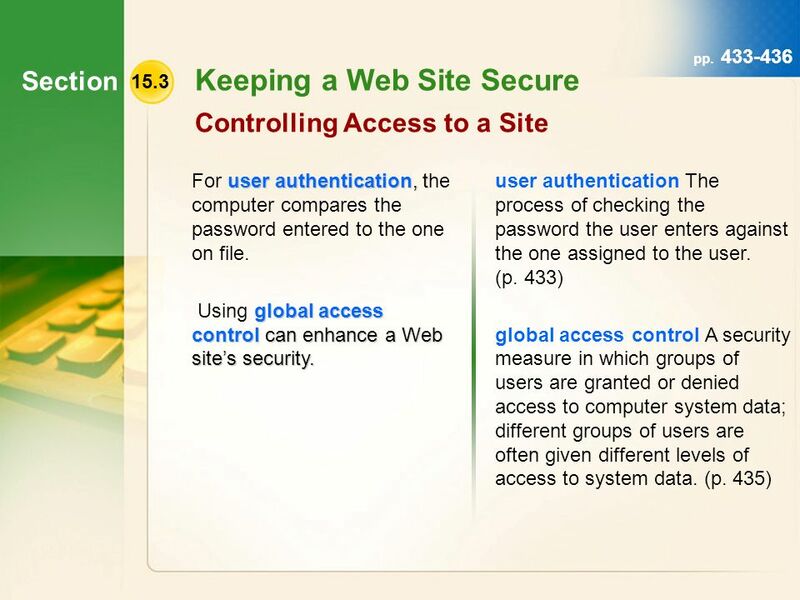 The World Wide Web is part. 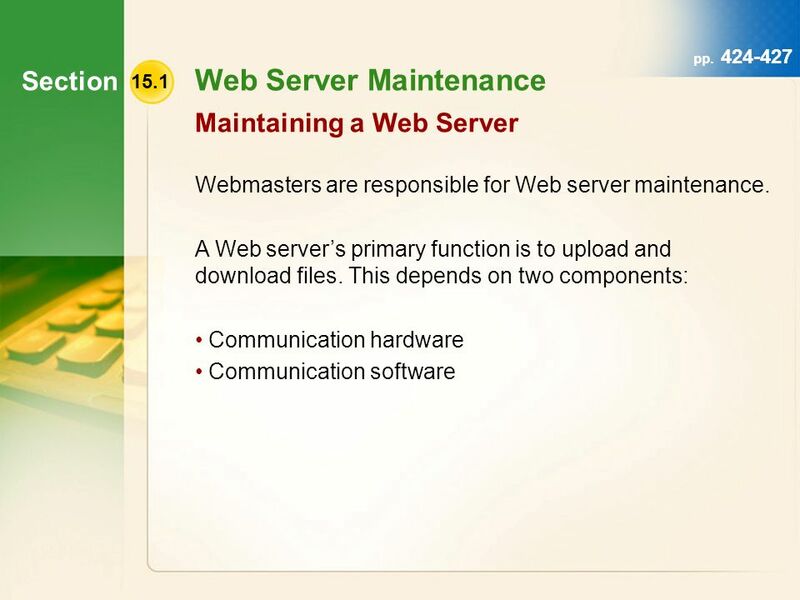 Chapter 8 Operating Systems and Utility Programs By: James Granahan. 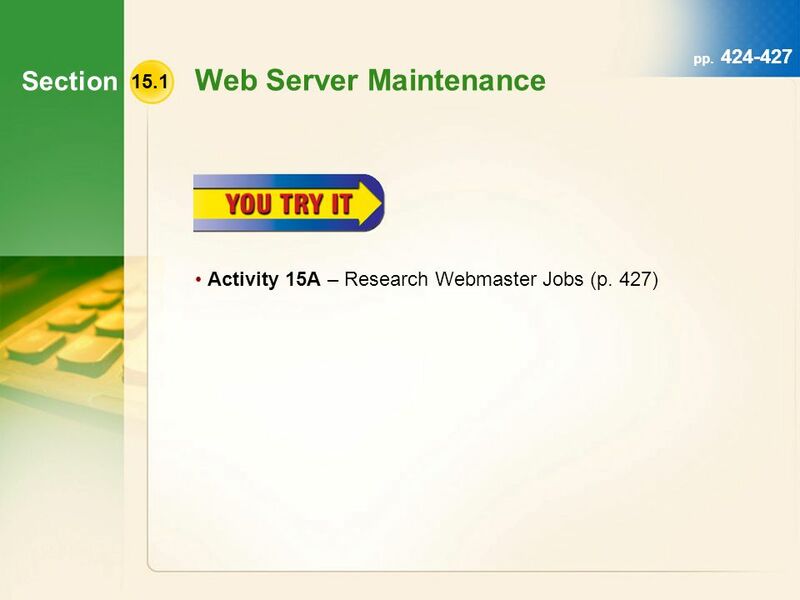 WEB DESIGNING Prof. Jesse A. Role Ph. D TM UEAB 2010. 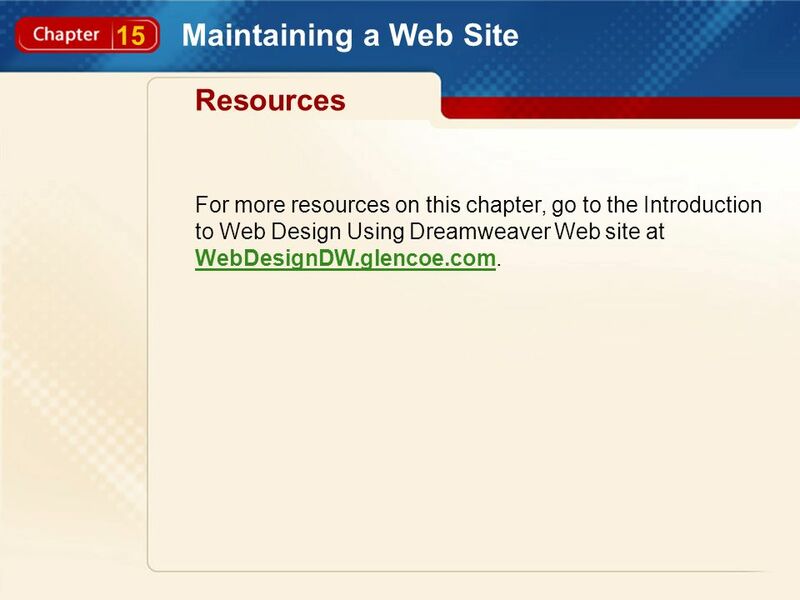 Creating a Web Site Back to Table of Contents. 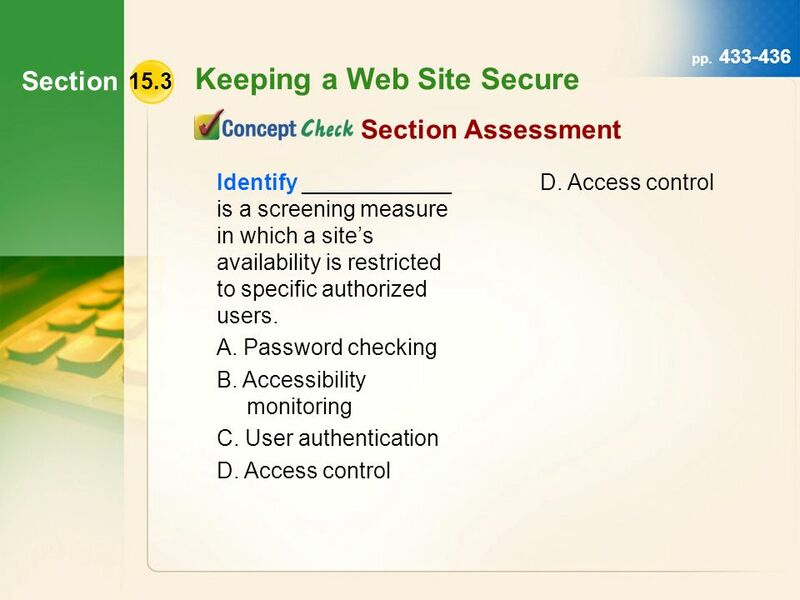 Creating a Web Site Conceiving a Web Site Planning a Web Site 2 Creating a Web Site Section 9-1 Section. 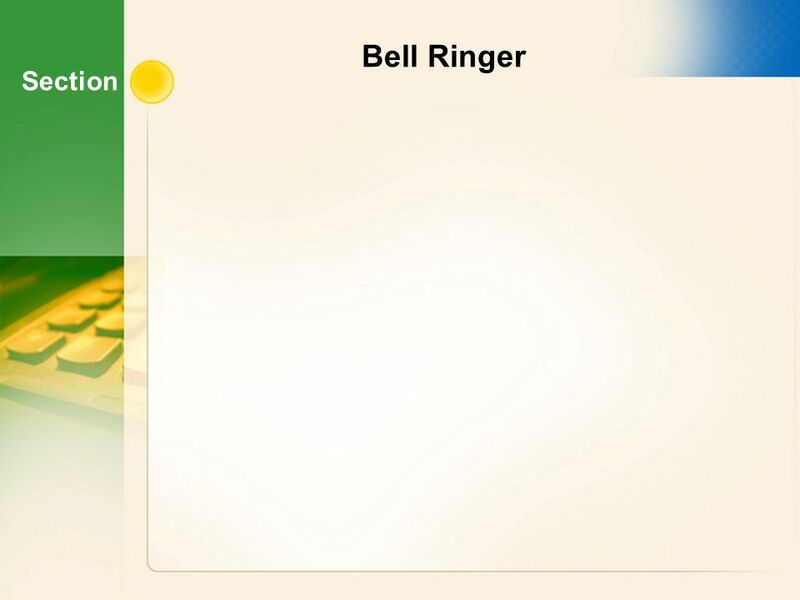 7 Selecting Design and Color Section 7.1 Identify presentation design principles Use a custom template Add pages to a navigation structure Section 7.2. 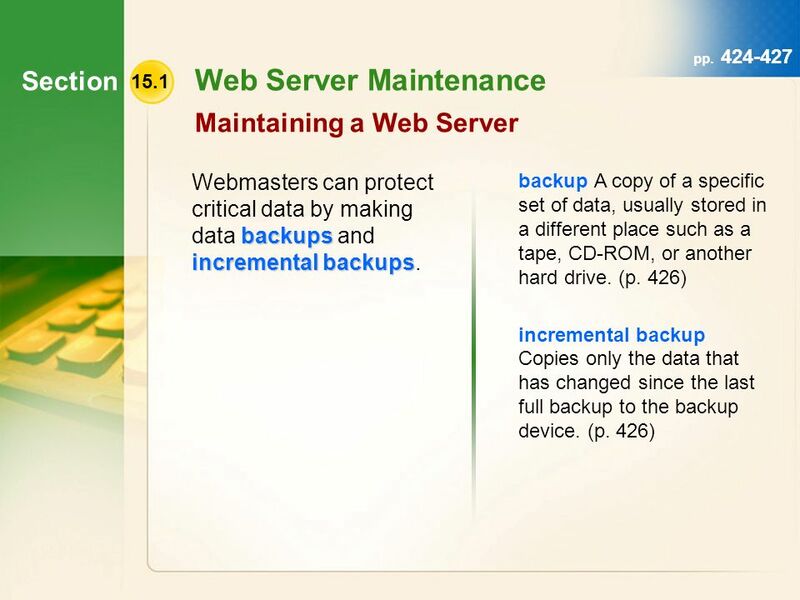 Discovering Computers Fundamentals Fifth Edition Chapter 9 Database Management.